Merchandising makes use of bullying to sell things. The practice is not new. Advertisers and retailers probably took their cue from the media. Just a short half-hour on one of the many reality-based television shows demonstrates how much our consumer culture is entertained by insults, even when those insults are self-directed. While this is a more blatant example of a form of bullying specific to TV, merchandisers have learned their lesson well, producing commercials, ads, and brands that prey on consumers’ fears. While an over-confident philosophy, it is also ridiculous. If a certain brand of clothing could keep junior high and high school students from making fun of their peers, we wouldn’t have invested thousands of hours of time and effort all over the country in anti-bullying curriculums. And therein lies the truth of our consumer culture: when we rely on advertising to guide our purchases, we end up buying a big bag of lies. What are Advertisers and Retail Stores Trying to Sell? The nature of advertising is to pick on the fears of individuals specifically and the community at large. Advertisers mean to take advantage of our insecurities and basest desires; pointing out what we do not have and reassuring us their products provide for our needs. Car companies aren’t selling cars; they’re selling status, comfort, speed, and safety. Food companies are not selling specific food items; they’re selling taste, good health, convenience, and time with family and friends. And apparently retail stores catering to teens aren’t selling clothes; they’re selling self-esteem, security, and popularity. Can a Clothing Brand Keep Teens Safe From Bullying? The foundational truth that many of us miss when we are inundated with advertising messages on a daily basis is that we have been promised lies. Instead of the status and envy of others that a new car provides, we get deeper in debt. The appearance of food does not guarantee that all the kids will make it around the table for dinner or that we will be in better health. And certain kinds of clothes do not result in friendships or popularity at school. The truth that advertisers would prefer consumers not to discover is that very few of the products we recognize due to extensive advertising are those that we actually need. Recent research shows that children between the ages of 8 and 18 spend as many as 11 hours in front of a screen, usually television or other electronic devices that run programs geared towards entertainment. The programs and games targeting tweens and teens are filled with ads of various kinds, many of them sending false messages to both girls and boys. The primary message for girls is that they aren’t pretty enough, and the message for boys that they aren’t cool enough. These lies advertisers tell, play on the fears that kids already have, leading to an increase in depression and anxiety. If you repeatedly tell children they have something to worry about, they will begin to believe you. In asking these two questions when considering purchases, both adults and children will begin to see that the promises made by marketers are often unrelated to the actual products they are trying to sell, or are at least, unrealistic. Furthermore, the false claims about products tend to exploit the consumer’s biggest fears. 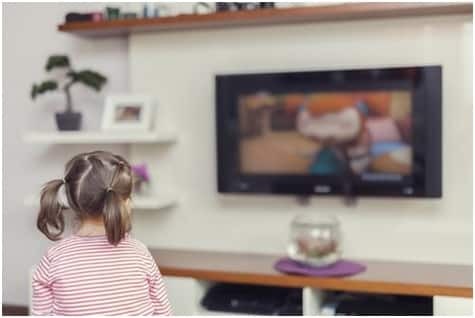 When in front of a screen – whether it is the television, the computer, or at the movies – discuss commercials and ads with children. 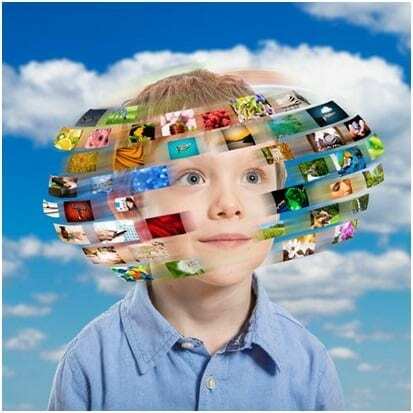 Once the Product and Promise test has been done, ask your child why he or she thinks that the advertising company put the commercial where kids can easily see it. When shopping – it is easy for children to get caught up in window shopping and plead with parents to purchase whatever it is they see. This is an excellent time to remind them that retail stores purposely place items at a child’s rather than an adult’s eye-level, so that children will nag their parents to purchase these items. When kids ask for things – make an inventory of needs versus wants. Aside from air, water, food, safety, shelter, and clothing, there are very few items that humans actually need for survival. Help kids determine if what they are asking for is something they want or something they need. Explore together the reason they want this particular item. When kids complain – practice gratitude with kids to help remind all of us how much we already have and to help us realize that there is only so much we can consume. When faced with the truth, fear loses its hold. Our children deserve to know that nobody is allowed to bully them into buying things. They deserve the right to make wise consumer decisions without being manipulated by subtle and not-so-subtle advertising campaigns. With a parent’s guidance, our children can learn to make the distinction between what they actually need and want and what the advertisers tell them they need and want.